Test you Mathematical as well as Logical skills with this Missing number brain teaser. 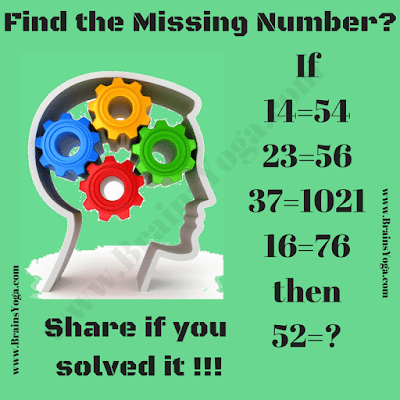 In this brain teaser there are some equation which follows some Math Logic pattern. Can you find this hidden logic and then solve for the missing number which replaces question mark? Can you find the Missing Number which replaces "?" ? The Answer is 710. Number on the right is first addition and then multiplication of the numbers on the right side of equation. I am using bloggers platform (which is owned by Google) for my website. Do not require any html expertise to get started with blog. Just give a try and let me know if any help required?